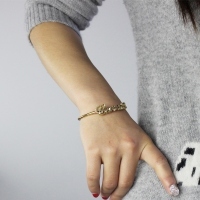 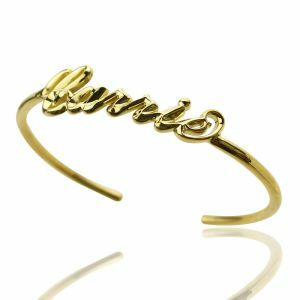 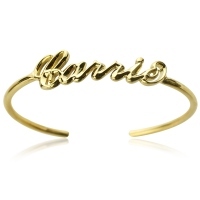 Personalized 18k Gold Plated Name Bangle Bracelet - Our Carrie style 3D bracelet are different from ordinary products, it has more luster and administrative levels. 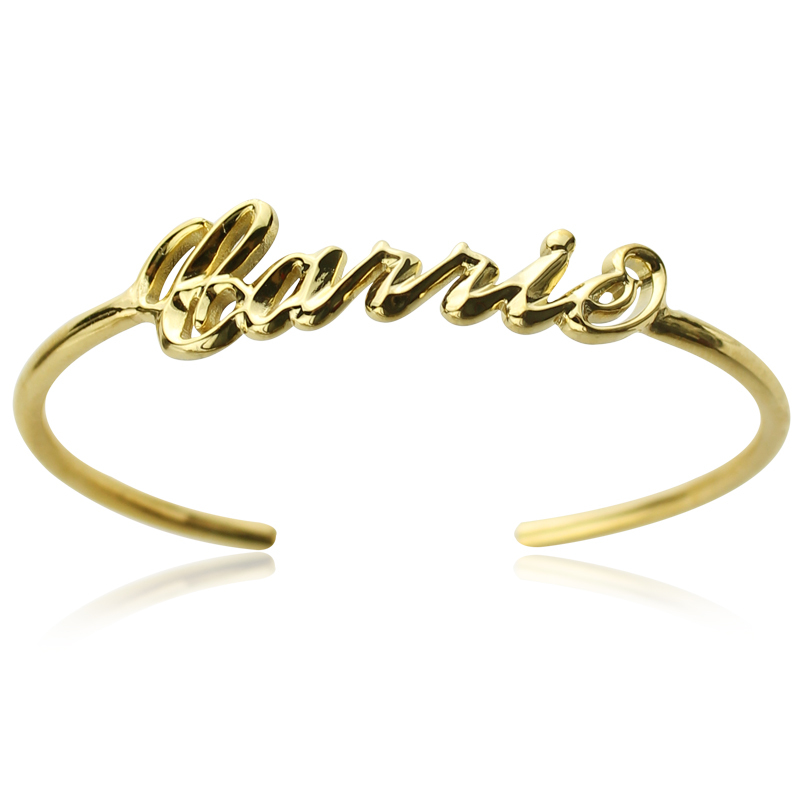 You can use this effect ordering and any words or any name you like. 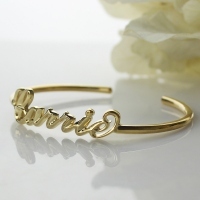 3D design with delicate engraving,popular and fashion style to make you more special and it also can be perfect gift for the people you love and make life more meaningful.